How the heck are you going to get the best fit and choose what type of tripod to buy? Here are four categories of camera tripods that you can consider. There are as many tripods in the world as there are models of shoes in the world. Which kind of tripod will work for you? Choosing the best tripod can be confusing because of all the options. This article will help you decide on what tripod to get. 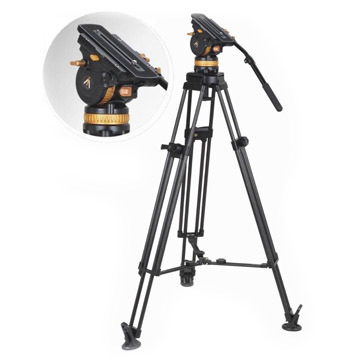 First, let's take a quick look at the various types of tripods available and what their advantages are. Then we'll answer the 5 big questions you need to ask when choosing the right type of tripod. 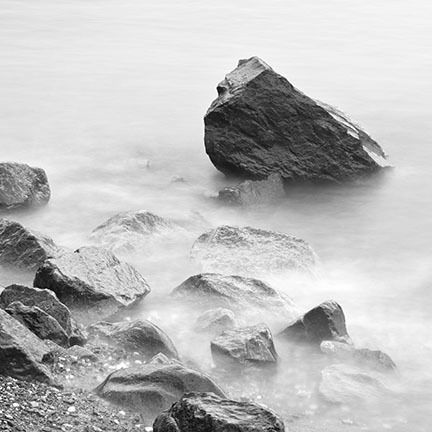 If you're a fan of doing landscape photography like me, you must use a sturdy enough tripod to handle long exposure photography. The heavier the tripod the sturdier it stands. The lighter the tripod, the easier it is to transport with you no matter where you go. 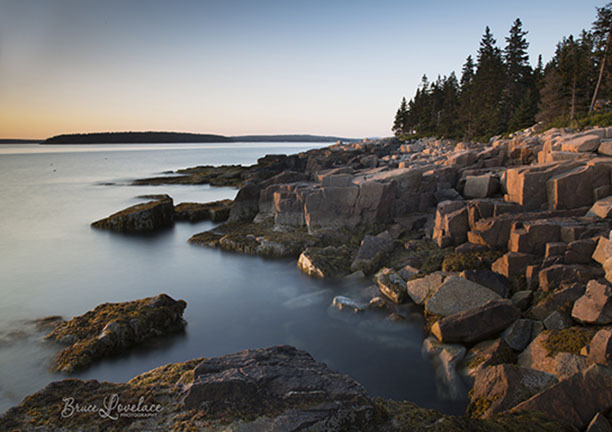 Which one of these seascapes do you like the most? Every vote counts. 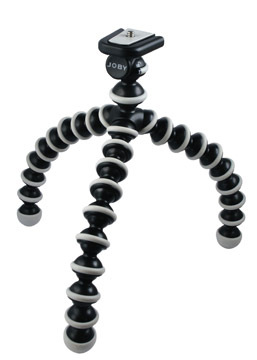 The number of tabletop tripod designs alone is staggering. They have limited uses, but are absolutely perfect in a few situations. Contrary to thinking that they will be flimsy because of their small size, shorter tripod legs actually give you better stability than longer legs. The key is which kind would work for you. The funny looking one on the left is one that you don't ever want to use if you are shooting with a DLSR. 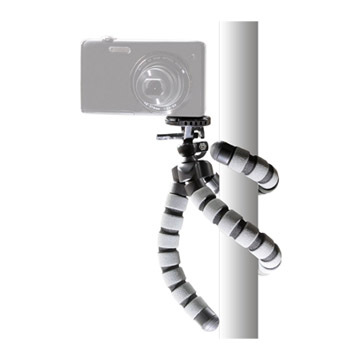 The bendable legs are very versatile, but are best only for handling light cameras like cell phones and point and shoot cameras. The wide-legged tabletop tripod in the middle photo is very stable and can easily support a DSLR camera. It's good for flat surfaces, great for macro photography. What kind of tabletop tripod do I use? I like to use the adjustable kind of tabletop tripod, like the one on the right. You can extend the legs to different lengths for uneven surfaces. It fits into a slot for lenses in my camera backpack. Mine has made it to some serious elevations! You can also get a variety of angles to shoot macro photos, down close to the ground. 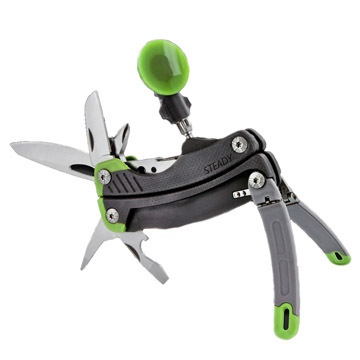 I use it on strenuous mountain hikes where I am already also carrying food, water, cameras, and lenses. I can adjust the leg lengths for uneven terrain, pan when shooting video, and flip the tripod's head for vertical or horizontal still photos. And as Captain Obvious, I must say that these compact tripods won't work well if you need to shoot at eye level, like portraits, landscapes, and sports. A compact tripod might be the best fit for you for several reasons. You get lots of good features and you don't have to go broke to get one. This is the type of tripod to buy if you want something that is easy to carry, will give you sharp photos and smooth video, and extends to a usable height. I've got a Rocketfish Tripod that weighs about 3 lbs. including its ball head, and it fits inside my luggage when I fly. 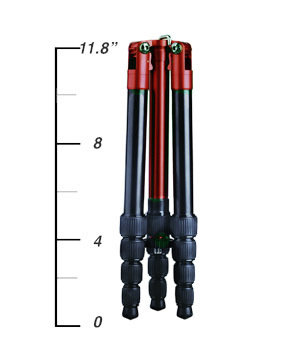 For studio photography and location photography where you don't have to walk too far, full sized tripods . I used extra large studio tripods with wheels way back when I was in photography school, using 4x5 inch view cameras and I still use a large tripod today in certain situations. Full-sized tripods are sturdy and go real high. My Manfrotto tripod legs, combined with a 498RC2 ball head weighs over 7 lbs. and I need a stool if I fully extend the legs and center pole upward to maximum height. That' really overkill for you and I don't recommend this type of tripod for beginner photographers and photo enthusiasts like you. Carbon fiber construction can save you as much as 30% in weight. Plastic parts save weight too, but are not nearly as durable and are not as steady as aluminum and carbon fiber tripods. 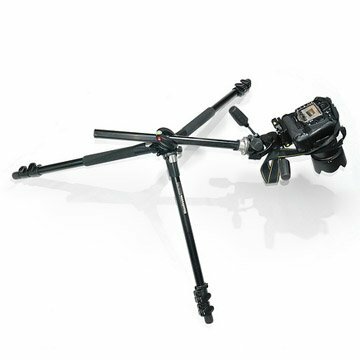 Tripods with leg spreaders make for a fast set-up, but kill your option to set them at different angles. Tripods that are too short are one of the biggest disappointment for photographers. For the occasional tripod user, it's not a big deal to stoop over to look through your viewfinder to compose your shot. I once wrote a complete post concentrating on how tall your tripod should be and you might want to check it out briefly and then return back here. One thing to note is that when you read the specs on how tall a specific tripod gets when fully extended, remember that tripods lose some stability at their maximum height. 2. what's my budget for a new tripod? If you spend less than $40 dollars on a tripod, you might get $40 of use out of it and then you'll be shopping for another tripod before you want to. If you spend $400 on a tripod, did you just wasted $200-$300 that you could have spent on other camera accessories like a nice macro lens or longer range zoom lens? No, if you want ultra rugged, super stable, and will last the rest of your life. Don't get me wrong it's good to have an idea in mind of what you can afford. Realize that the more you spend the more durable it will be. 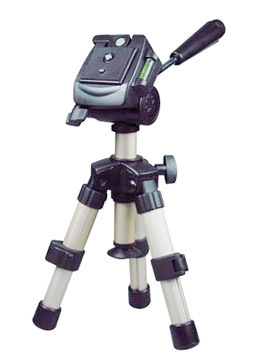 If you're only shooting video of your kid playing soccer, photographing a few flowers in the backyard up close, or taking some posed family photos at your grandchild's birthday party, go for a budget tripod. 3. what's the best brand of tripod? No such animal! 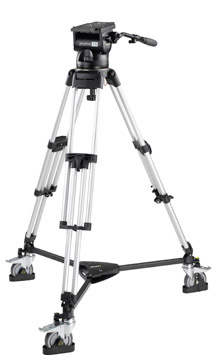 I Understand that many people are loyal to Chevy for cars, or only will buy Apple Mcintosh, or only eat Breyers ice cream, but when it comes to tripods, choosing one based on brand doesn't make sense. 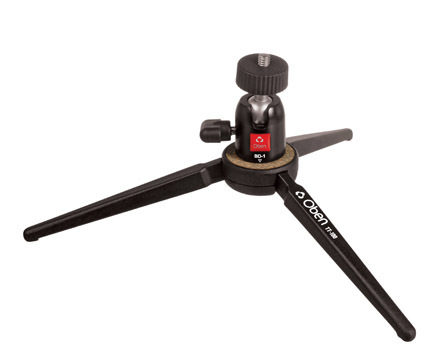 You can find several tripod brands for professional tripods such as Gitzo, Really Right Stuff, Oben, Feisol, and Manfrotto just to name a few. The number of brands that offer mid-range and budget-priced tripods is off the charts and many of them are worthwhile buying. 4. how much weight should my tripod support? Tripod capacities are useful to look at to compare, but you shouldn't rely on them as perfectly accurate. There is no standardized testing method to scientifically measure the cpacity, but just the manufacturers recommendation. Also realize that you should not max out your load to the maximum number when you're figure the weight of your camera and lens combination on top of your tripod. Loading your tripod to its maximum capacity will likely put too much stress on the materials and its stability, operation, or performance may suffer. 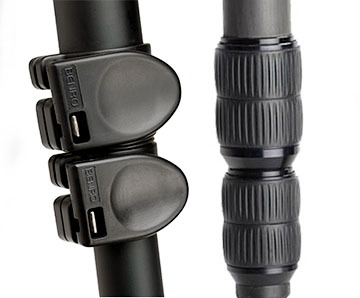 Should you get quick release or twist tripod leg locks? 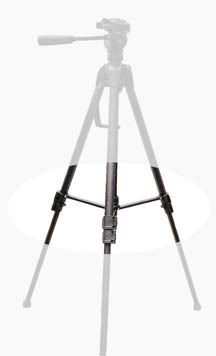 Many photographers will argue in favor of quicker adjustments caple with tripod legs that have a lever. I've found the twist locks to be plenty fast enough and longer lasting. I'll argue that if you're in that big of a hurry to set up, you might be better off going handheld. 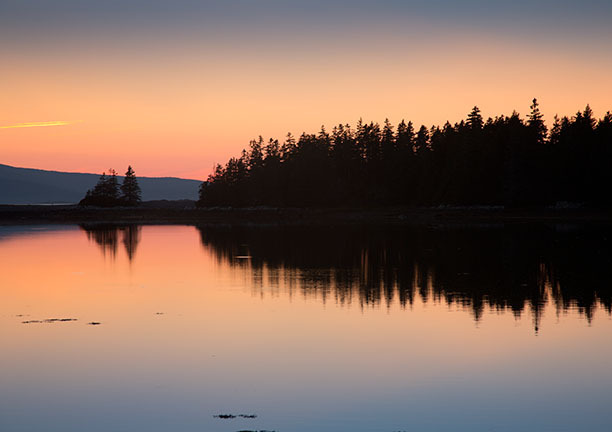 One of the big advantages of using a tripod is to slow down and take your time composing the best photo. If you're shooting fast moving wildlife or birds, you'd be better of using a monopod. Deciding on what tripod to get depends on what features you want. 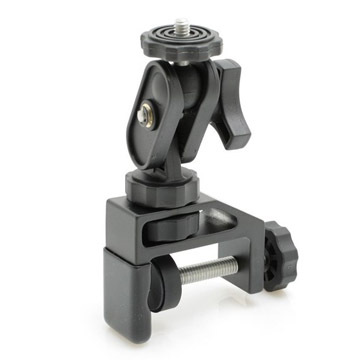 Having the ability to spread your tripod's legs will spread the weight over a greater area and thus increase the stability of the tripod. Extending a center pole to its maximum height reduces stability-you've almost turned your tripod into acting like a monopod. With all of the travel photography I do and the hike I like to take, I don't like to carry heavy equipment. If you like to keep it light too, you might like to consider a light tripod to support your camera. A tripod won't prevent image blur when you push the shutter button with your finger. You still need to use a shutter release cord, remote trigger, or the self-timer feature of you camera.Tripods without a center pole are the absolute sturdiest, but then they become cumbersome to make small adjustments in the height of your camera. What type of tripod to buy depends on what type of photos you're shooting and the environment you are in. 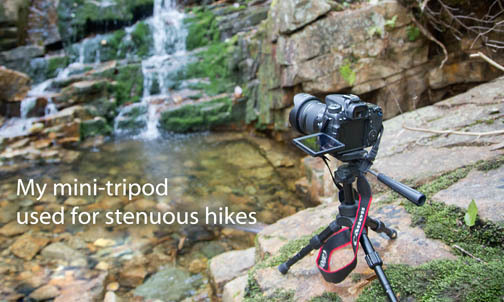 If you want to get just one single tripod, compact tripods make the most sense. Shoot more photos. Watch less TV. This is a free website where I share my passion for photography with you. This page might contain links that are called affiliate links, that help me pay for this site. That really doesn't affect your reading at all, nor does it affect any purchases you do. If you care about such legal stuff, you can read the affiliate statement at the very bottom of this page before you buy a product that I recommend. If you don't care, just ignore this and read on.